Swarzy Macaly is a radio presenter at KISS FM, hosting the KISS Weekend Breakfast Show on Saturday mornings from 6am-9am, as well as her own show on KISS Fresh every Monday to Thursday from 11pm-Midnight, and Saturdays from 11am-3pm. Swarzy is also the official young voice of BBC Sounds, a contributor to Dotun Adebayo's BBC Radio 5 Live show every third Sunday of the month, and hosts regular events with brands including o2 Go Think Big, DICE, and LevileTV. Swarzy joined KISS after winning the KISS Chosen One 2016. As well as media, Swarzy is passionate about social justice and was heartbroken when waking up to the news of the Grenfell Tower fire in June 2017. She has since volunteered to support those affected by the tragedy and participated in the documentary 'On The Ground at Grenfell', hosting screenings and panel discussions which has led to the privilege of supporting Grenfell United at their parliamentary and community events. 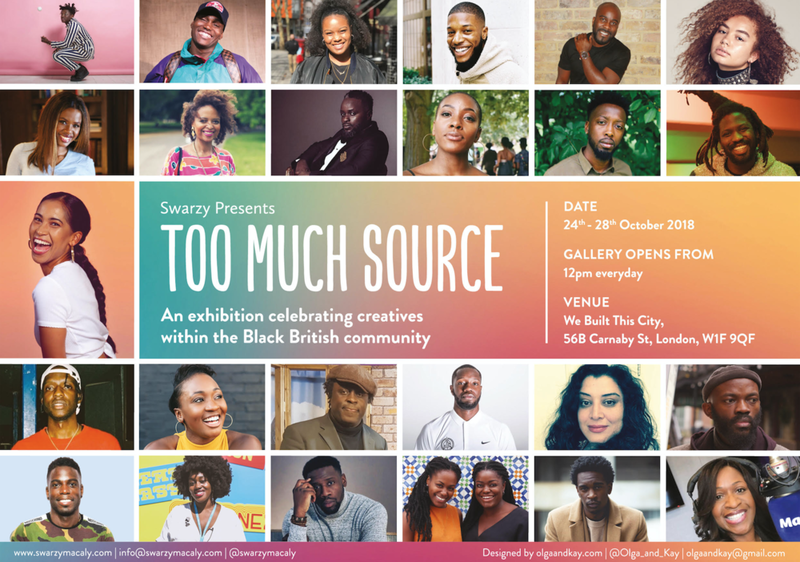 For Black History Month 2018, Swarzy curated and hosted an exhibition in Carnaby St, London called 'Too Much Source' - a five day exhibition celebrating creatives from the Black British community who are all making history today across various creative industries. With a gallery by day and live events every night, Too Much Source succeeded in bringing the community together to recognise, explore, and discuss what true diversity and change means for now and beyond. The road ahead of Swarzy proves very exciting. With her quiet confidence on and off camera and her fearlessness to think on her feet, Swarzy is everything an audience and guest want in a presenter to bring conversations to life.